Mitch Ballard moved to Nashville, TN in 1992 after graduating from the University of North Texas. Previously an on-air talent in radio and television in his native Texas, Mitch spent the next 16 years in the music business tour managing major national acts, as well as writing songs with some of Nashville’s finest singers and songwriters. In 1997, while working with hit country artist Kevin Sharp, Mitch saw the value and need to be on the Internet. With an off-the-shelf web development program, Mitch launched KevinSharp.com A large number of music based websites soon followed. 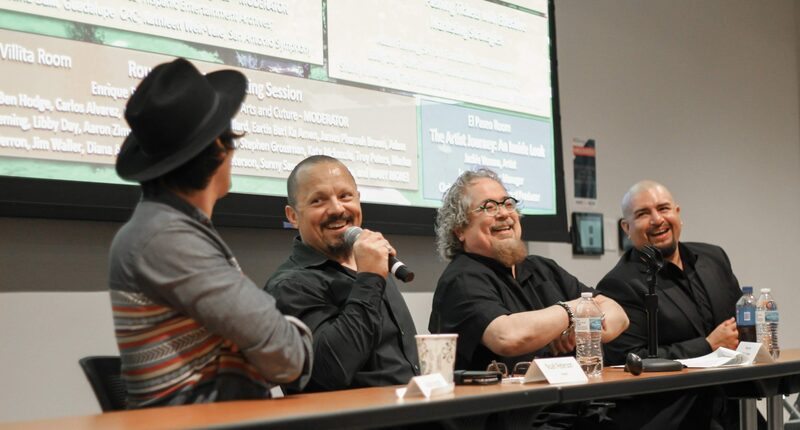 With a long background in the music business, Mitch developed early on web-based applications for music booking agencies and a system to manage concert tours for Rascal Flatts, Jason Aldean and Clay Walker. Mitch’s past projects include The Home Depot, Glow Motion Technologies (Superbowl XLIX (Katie Perry), Superbowl LI (Lady Gaga), Superbowl LII (Justin Timberlake), Superbowl LIII (Maroon 5), Ariana Grande, Twenty One Pilots, Nickelodeon Kid’s Choice Awards, Drake, Keith Urban), Tupperware and all digital assets of historical World Famous Tootsies Orchid Lounge. Mitch resides in Austin, TX and serves as Sr. Director, Creative for BMI’s Austin office. BMI is the the largest music rights organization in the U.S.